The Reef Octopus controllable Direct Current “DC” water pumps are the latest in variable speed flow technology and allows for refined control, enhanced performance and efficiency. The vast majority of circulation pumps available to hobbyist are alternating current "AC" pumps (the type of power that comes out of your wall outlet). Direct current pumps have several key advantages over traditional AC pumps. 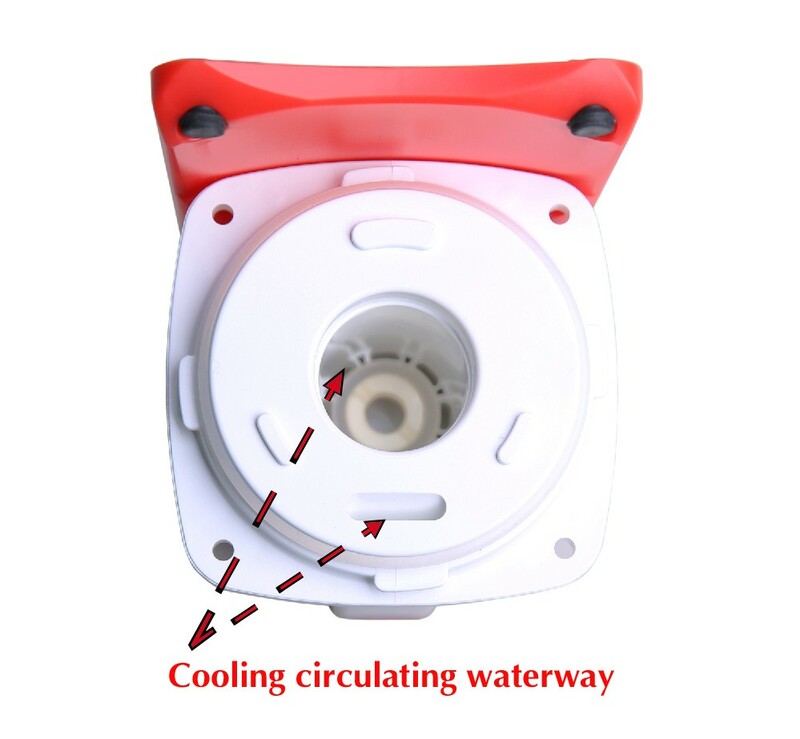 Most notably,you can control the rotational speed of the motor, thus electronically control water flow rates. 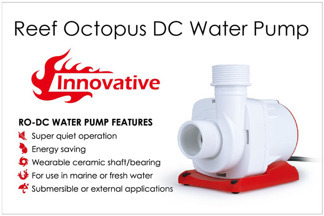 DC pumps are also more efficient than AC pumps and produce less heat per volume of flow. 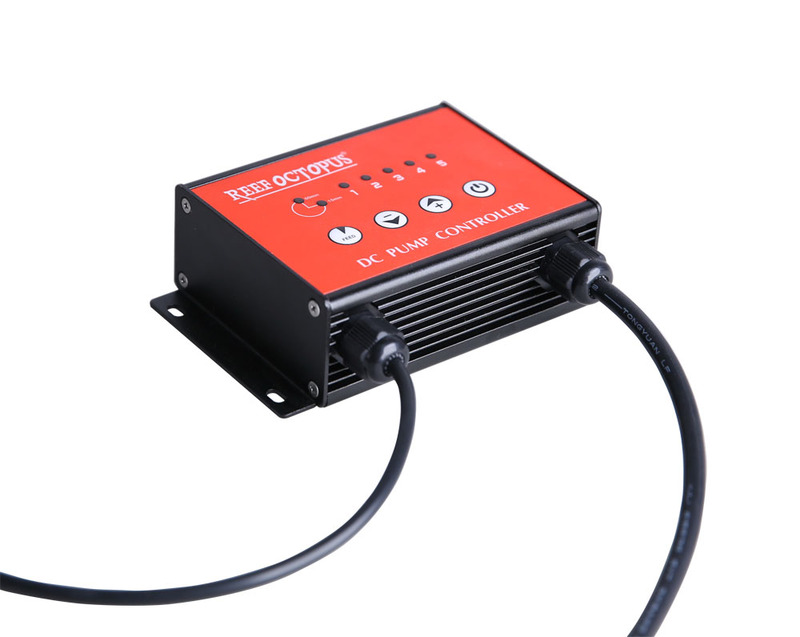 This controller allows users to select between five preset speeds indicated by five lit LEDs. The controller also features a feed/service and an On/Off button. When the feed button is pressed, the skimmer pump shuts down and will automatically reactivate after 10 minutes. Press the feed button a second time to resume normal operation. 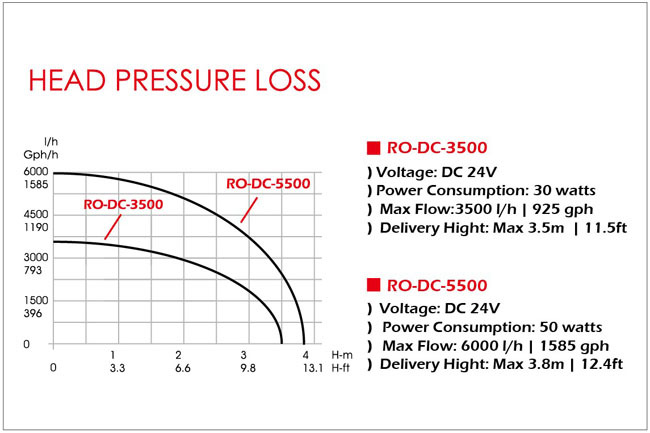 RO DC pumps feature a true slow startup where the pump slowly ramps up from zero RPM to the full preset speed over a period of approximately 10 seconds. The pump and controller are connected via a waterproof 3-conductor union. The detachable controller will allow for a simple waterproof union. 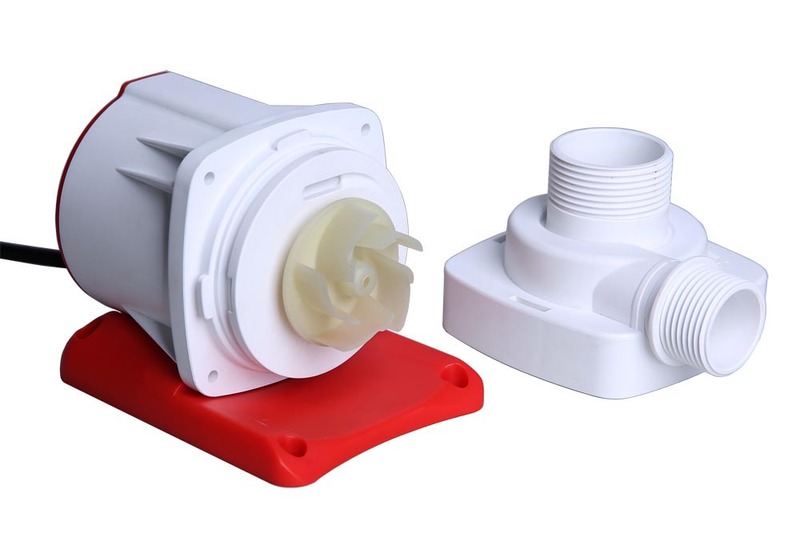 The volute can rotate to change the pump's output orientation in 90 degree intervals, meaning users can output water vertically (up or down) as well as horizontally.